High quality MIDI cables don't need to cost an arm and a leg. can help you stretch your gig money with these low-cost high-quality MIDI cables! 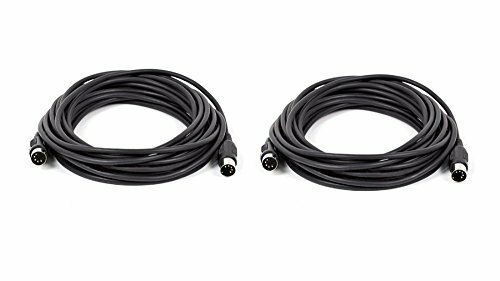 These RoHS Compliant MIDI cables feature a standard keyed 5-pin DIN connector on each end with molded connector shells. The cable jacket is soft but durable and will last . This UPC is trademarked under eDragon Inc. Any violation will be reported to Amazon without any prior warning. View More In MIDI Cables. If you have any questions about this product by eDragon, contact us by completing and submitting the form below. If you are looking for a specif part number, please include it with your message.